Melbourne's rivers, estuaries and wetlands are the foundation of a vibrant natural environment and a key contributor to the city's productivity and liveability. The community loves its waterways, and our deep connections to the rivers and their surrounding landscapes form part of the region's liveability. Environmental water is important for keeping these rivers and landscapes healthy. Maribyrnong, Tarago and Werribee rivers home include platypus, dozens of frog species and important and endangered native fish populations. The strategically timed release of water for the environment helps increase platypus and frog populations and encourages native fish to migrate and spawn. "Water for the environment gives nature a boost. We use it to create the conditions native fish, frogs and platypus need to reproduce, and it helps to flush out sediment and improve water quality," Chris said. "Given the pressures of climate variability and population growth likely to be experienced in Melbourne, it's never been more important to find ways to help nature deal with these stresses." "Working with the VEWH and other stakeholders, we want to ensure these important native species of aquatic animals and vegetation thrive. Our focus is on finding a balance that supports community and commercial needs, for the benefit and liveability of Melbourne now and for future generations." Fish populations are benefiting from the delivery of water for the environment. For instance, during the Millennium Drought from 1997–2009, there were concerns about Australian grayling in the Yarra River. Flows to the Yarra and Tarago rivers in autumn — known as freshes — are timed to support the breeding requirements of Australian grayling. They provide the natural cue for the fish to migrate downstream to spawn. Resources Planner Cheryl Edwards said. Water for the environment delivered in the region in 2016–17 included the largest-ever release in the Werribee River in November, which resulted in Australian grayling being detected in the Werribee River for the first time. Australian grayling are not the only fish to benefit from the flows. River blackfish also respond well, and the flows in the Yarra help Macquarie perch to breed by clearing debris from its spawning grounds — pebble beds known as riffle habitats. The local platypus population suffered greatly during the Millennium Drought. Environmental water releases in subsequent years have improved water quality for macroinvertebrates — the platypus' main food source — and have stimulated platypus to explore new habitat and expand their range. "We work with the VEWH to plan and release environmental water, which enables platypus to move around the river and put on the weight they need to be healthy enough to reproduce during the summer breeding season," Cheryl said. Rivers and wetlands in the central region also support several frog species, which are highly dependent on water to provide habitat at particular stages of their life cycle. Frogs are highly sensitive to changes in the environment and we use this knowledge to plan the delivery of environmental water to rivers and wetlands to replicate the conditions frogs need to reproduce. Monitoring shows that frog populations in rivers and creeks that receive environmental water are larger than those that don't. trails in Viewbank, near Heidelberg. The Banyule Billabong has one of the most diverse populations of regionally and locally significant wildlife of all the Yarra Valley parkland billabongs. A Melbourne Water investigation of its long-term needs prompted an environmental watering regime to help ensure its ecological future. azolla). 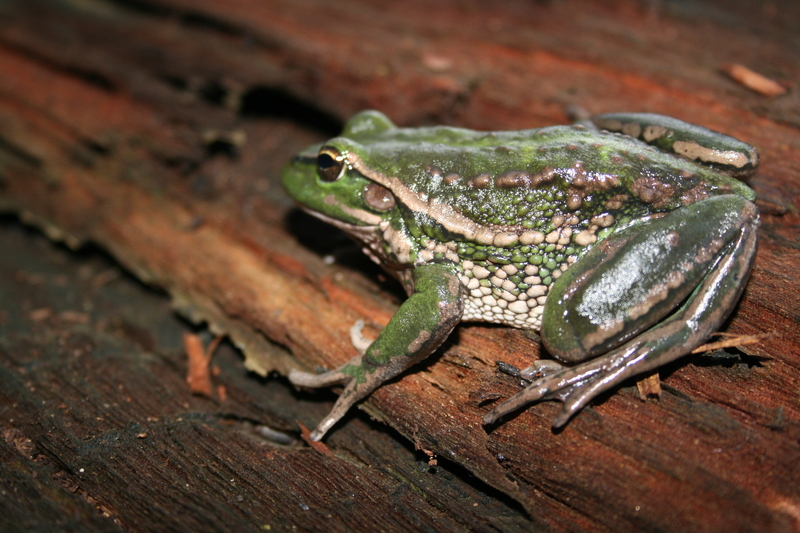 The monitoring showed a rapid response response from frogs and improvements in plant growth. Banyule resident Anthea Fleming, also of the Waringal Conservation Society, witnessed this first hand: "You never heard so many happy frogs! " she reported. "Common froglets, pobblebonks and some clicks from, I think, striped marshfrogs." Melbourne Water General Manager of Integrated Planning Chris Williams said that under natural conditions the Banyule Billabong would have been flooded annually. However, with our rivers supplying water to drink, grow food and meet industry needs, the billabong is flooded less frequently, and water for the environment is essential to its future. "We delivered water to the site to simulate what should occur naturally, and we were really pleased to see that the frogs responded by returning to the area almost immediately," Chris said. "The billabong is also a popular recreational area for enjoying nature, walking and cycling along the Yarra trail, so we want to ensure the site is rehabilitated for the benefit and liveability of the community and for future generations. Water delivered from the Yarra River to help this unique environment survive and thrive is crucial to achieving this rehabilitation."